Now in our 19th year of continuous operation. We certainly have gone a long way since the registration of the original company in August 1987. 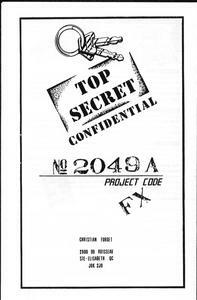 Reproduced below are scanned images of the front and back cover of our first catalog, available around 1985. 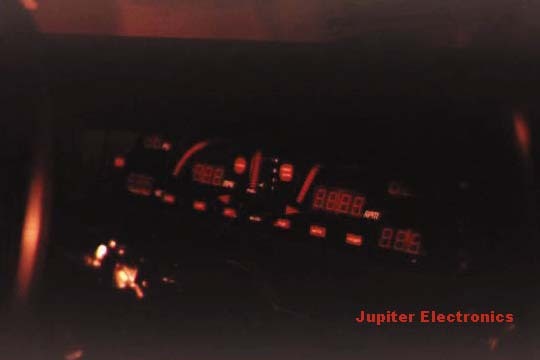 Jupiter Electronics beginnings actually goes back to 1986, when Christian Forget customized his '75 Chevy with a fully functional electronic dashboard. After evaluating with disappointment several electro-mechanical models and assembling a few digital gages from plans published in electronics magazines, he decided to design his own circuits. Six months later, his research and development work resulted in a complete conversion from stock mechanical gages and idiot lights to a full electronic dashboard for his '75 car. The interest and attention his car was pulling gave him the idea to offer electronic dashboard conversion services, and he filed all the necessary papers to start a business. This was the creation of Modern Labs, in Quebec, Canada. At that time, Christian was a student in Applied Sciences. He enjoyed electronics so much that he decided to pursue a Bachelor's Degree in Electrical Engineering, while managing his small business. 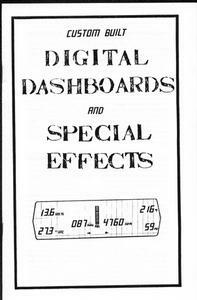 In 1988, Rob Louisell of Michigan asked Christian if he would be interested in designing a special electronic dashboard for his project car. This special project turned out to be a TransAm-based replica of the most famous high-tech TV car of all times. Rob incorporated his business, Louisell Enterprises, specializing in fiberglass components. Christian supplied the electronics from 1988 to 1996, when Rob ended his activities after having reached his personal goals. Together, in this first phase of commercial activities, they helped about 60 people building their own famous car replica. Rob Louisell recently came back with limited, exclusive product offering. More details can be found on his web site at www.roblouisell.com . Modern Labs stopped advertising around 1991, and orders kept coming in from friends and loyal customers on a regular basis since then. 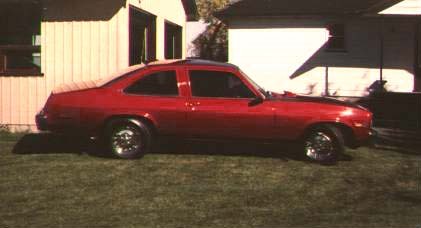 GT Fieros, Fords, 70's TransAms, VWs, Hondas and Recreational Vehicles are on the list of conversion projects he realized. Christian has been working as a Licensed Professional Engineer since 1992, performing electronics designs and offering consultation services in a wide array of sectors ranging from automotive to telecom, medical and consumers electronics. All of the original boards have been redesigned focusing on performance, efficiency, reliability and accuracy. In 1996, to better reflect the maturity of his business, he registered and started using the new name of Jupiter Electronics. Christian lives in Montreal, Canada, and can be reached by e-mail at ledmaster@jupitere.com.